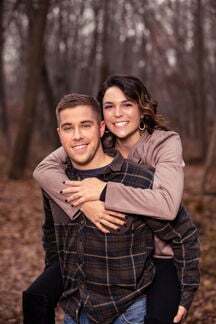 Karlie Loewen of Plymouth, Minn., and Kenny Dux of Le Sueur, Minn., have announced their engagement. She is the daughter of Andy and Sue Loewen of Kenosha, Wisc., and he is the son of Willie and Kathy Dux of Stewartville, Minn. The future bride graduated from Tremper High School and the University of Minnesota-Twin Cities in Minneapolis, Minn., in 2017 with a Bachelor of Science in Family Social Science and from Rasmussen College in Bloomington, Minn., with a Bachelor of Science in Nursing. She is currently employed with the University of Minnesota Medical Center Children’s Masonic Hospital in Minneapolis with plans to work as a nurse at the Mayo Clinic in Rochester, Minn. Her groom graduated from Stewartville High School in Stewartville Minn., and the University of Minnesota-Twin Cities with a Bachelor of Science in Animal Science and a minor in agronomy. He is employed at Ag Partners Co-op in Le Sueur and just recently accepted a promotion as Assistant Location Manager at their Lewiston location. The couple are planning a ceremony for July 27, 2019 in La Crosse, Wisc. They will reside in Rochester, Minn.